Now that I have a baby girl, she has brought out the little girl in me. I remember in those days I could spend all day playing with my barbies, dressing them up and/or our family pet if I could get her to cooperate. I have to say that my little McKenzie is such a good sport so far when it comes time for mommy to play fashion photographer here at home. 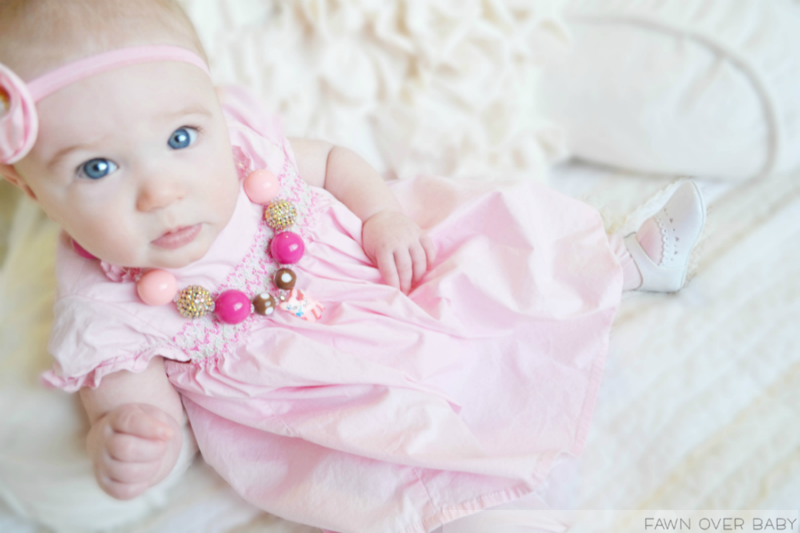 She allows me to play dress up all over again except this time with my real live baby doll. Though she allows me to revert back to childhood for a few minutes, I know that it will not last long so I'm taking advantage of her sweet patience while I can. Now that the "baby milestone" photography sessions are so popular, it gives us mommies even more of an excuse to doll up our little babies. With the increase of baby photo sessions comes the search for the perfect outfit to wear on that special day. 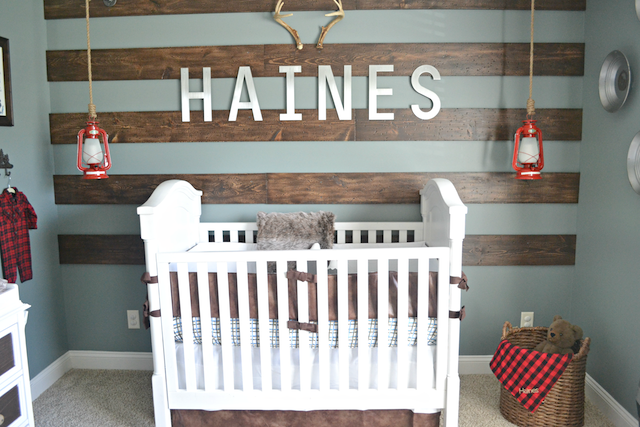 This has talented mommy crafters hard at work fullfilling those demands with just the right ensemble or accessory to help make those photos pop! Today I want to introduce to you one of those talented crafting mommies, who is also my friend and sorority sister, Jennifer Neumann. 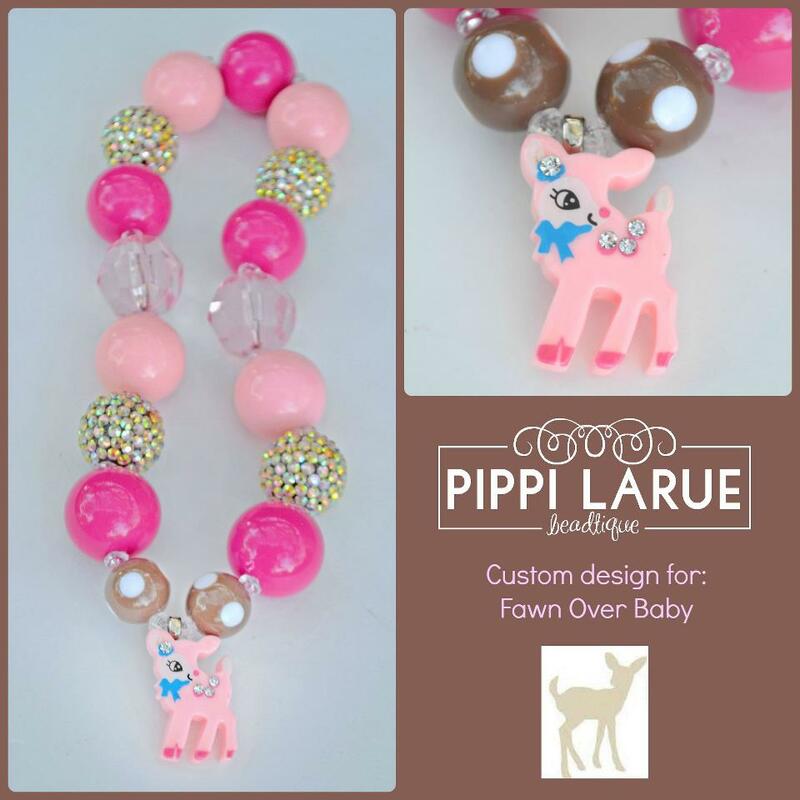 She is the owner, designer and creator of Pippi Larue Beadtique. 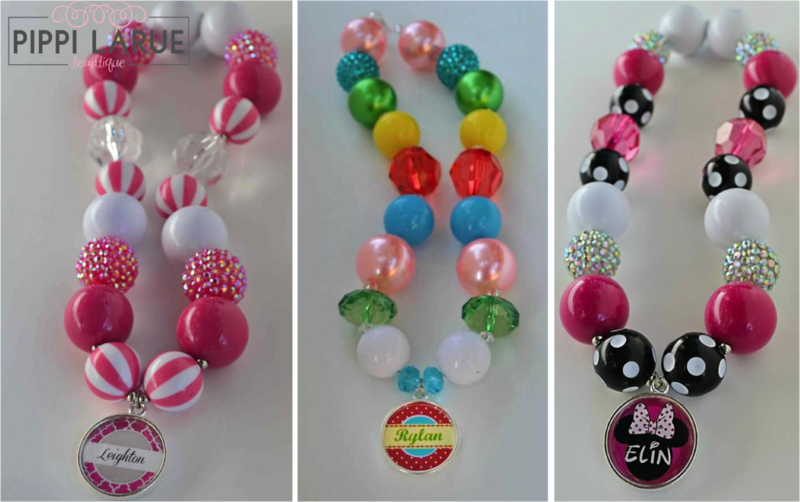 After perfecting her craft of designing and creating fashionable necklaces for her little doll, Piper, she decided to launch Pippi Larue Beadtique. Pippi Larue Beadtique specializes in Fun, Fashionable, and Chunky beaded necklaces for baby, toddler and little girls. 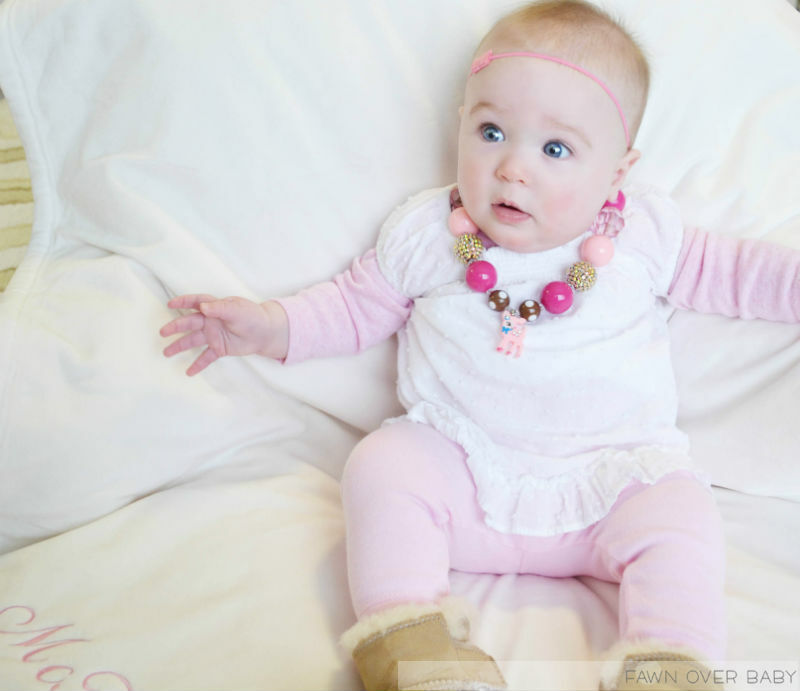 Jennifer's mission is to design a one of kind statement necklace that will make your little girl feel special and that she will adore wearing every day or for that special photo shoot. 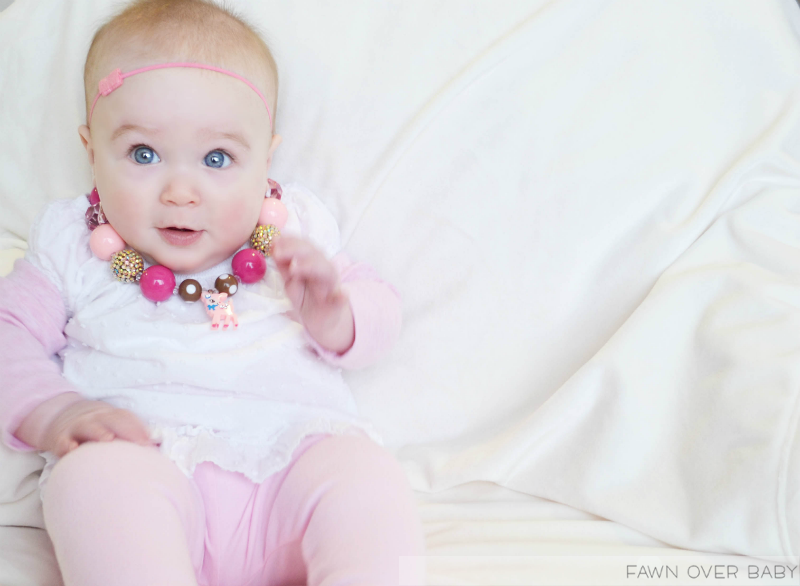 She says "we love custom designs...when customers email us a photo of an outfit that their little sweetie will be wearing for a photo shoot, or birthday party, or even everyday." 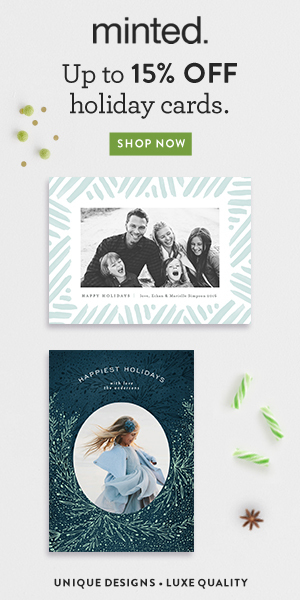 Jennifer will then send a photo of her coordinating design to match for her customer and together they will work to get it absolutely perfect. 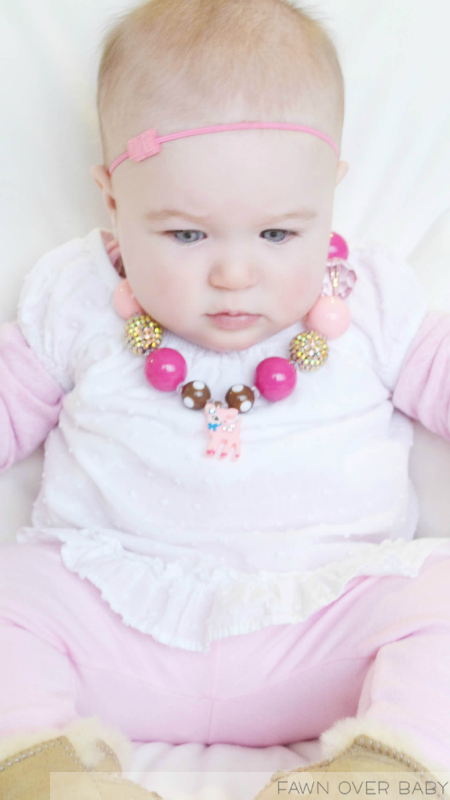 Along with her PLB Collections, Jennifer has incorporated styles that match the most popular children's lines like, Matilda Jane, Persnickity and Giggle Moon. 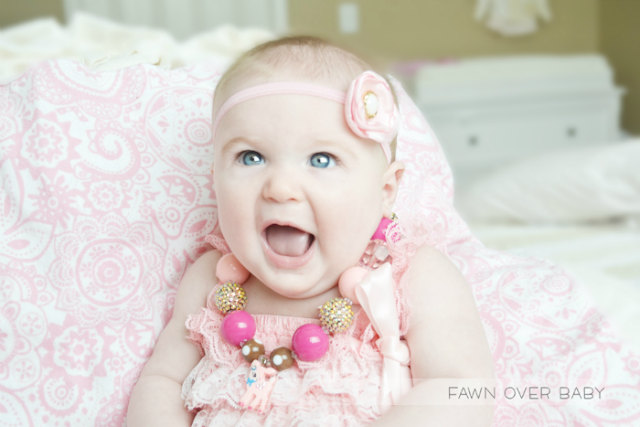 Her personalized necklaces have everyone excited. 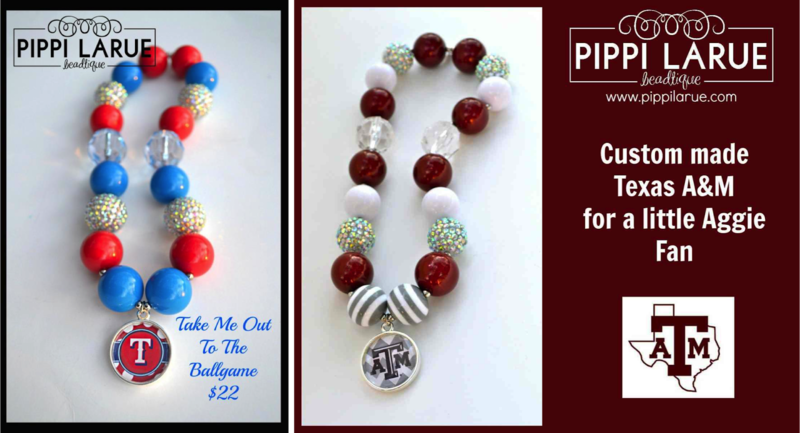 She will design a necklace with your little girl's name or monogram or child's school colors to show her school spirit. 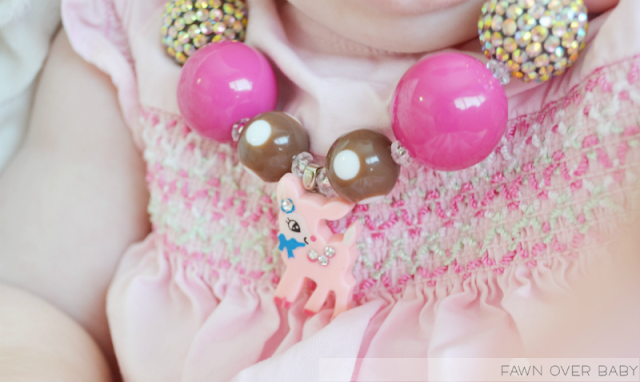 Something else that is so near and dear to Jennifer's heart is Pippi Larue Beadtique Sparkle Campaign. PLB's Sparkle Campaign was created for little girls who are dealing with an illness, having a scary surgery, or whose family is going through a difficult time. Jennifer will send a PLB bling necklace in hopes to brighten up her day. For PLB's weekly style guide and details for their Friday FB sale show,"like" and follow Pippi Larue Beadtique facebook page. 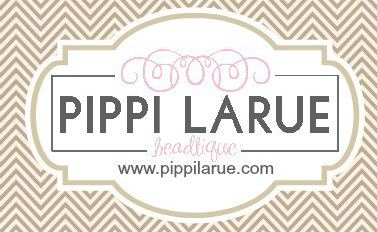 To see more PLB Collections, visit Pippi Larue Beadtique! After receiving our first Pippi Larue Fawn inspired necklace, I couldn't wait to experiment with the different looks that our adorable necklace could possibly coordinate with. I was not disappointed! From our "Casual Friday" look to our "Saturday Errand Run" look and from our "Special Occasion" look to our "Sunday Best" look, our PLB necklace coordinated perfectly with each one! 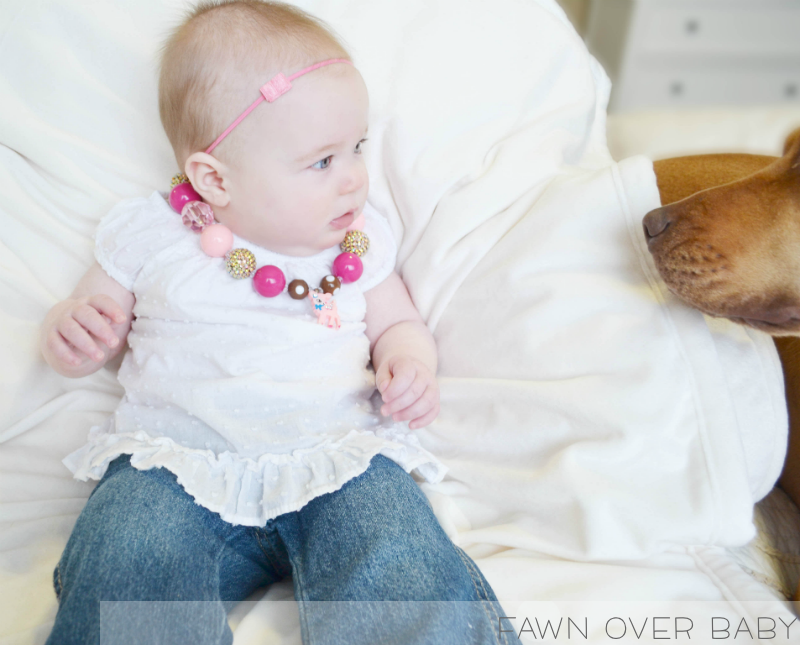 Just for you, we partook in a mini photo session with McKenzie modeling her PLB fawn necklace with all four looks. I know what you're thinking, "this mom has waaaaay too much time on her hands" don't worry, I sometimes think that about myself too, lol!